Whatever it is, the US government seized nearly $3 million dollars worth of it from Mutum Sigillum, LLC which operates as a subsidiary of Mount Gox, a BitCoin exchange according to Coin Desk. In a second seizure, the US government shut down a website named the Silk Road. The website offered illegal drugs, money laundering, trafficking, illicit products, and illegal services. The Silk Road served as a marketplace for these types of items and activities and used BitCoins to facilitate the transactions. All of these details and information comes from the official statement made by the FBI in it’s official complaint. So again, what is this BitCoin that has been on the news, radio, and the internet? What does it mean to the everyday consumer? BitCoins are a newer form of digital currency created by a number of individuals, but it was first defined as “crypto-currency.” The first implementation of BitCoin was introduced in 2009. The digital currency is based on perceived value and developed on a digital platform. All the virtual currency that exist currently, is all the tokens in existence. This is where the value of the tokens come from and based on the finite existence of the tokens along with the value users agree they have. The value fluctuates based on these factors. There are 11 million BitCoins currently and each with a unique online registration number. 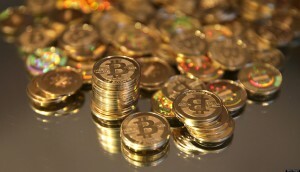 BitCoin users are issued a digital address where the tokens are sent. The address is generated at random using 27 to 34 characters. The randomness of the addresses allow users to remain anonymous–adding to the mystic. Every computer running BitCoin processes keep a registry of all the BitCoins in existence. The agreement of all users as to the value and credibility of the registry supports BitCoin. This registry is referred to as a ledger. Computers running the application can earn 25 BitCoin for the wallet owner by allowing the program to run. During the run time, it solves mathematical equations associated with processing transactions, referred to as mining. These digital tokens are not good or bad; they are simply digital signatures. How individuals and organizations use the currency determines whether the results are positive or negative. BitCon physical value is resultant from how the wallet owner cashes out the tokens through exchanges or other users. According to the official website and BitCoin users we’ve talked with, most of them use BitCoins as a way of paying for goods or exchanging services. Most use the service like an escrow service, similar to PayPal or eBay. Ambiguous in nature, this type of currency serves as an example of the way world finances may work in the future. Many compare this network to a large scale credit system. Despite any negative news and concerns, there are a number of positive examples of this system working effectively and appropriately. Should you investigate and ultimately use BitCoins? There are no concerns with the service currently and if it is useful to use this type of currency for you, then there is no reason to avoid it. As the service is not commercially accepted it may not be as useful to the general public yet, but it could be in the future, and the future isn’t too far off. Soon, you may find BitCoin Accepted Here placards all over the place.